Here are examples of CEC’s contributions to research and development challenges, by using building blocks from its extensive library of proven RF transmitters and power supplies, DC power supplies and ancillary equipment. In 2012 The Indian Domestic Agency awarded Continental Electronics Corporation a contract to develop the radio frequency (RF) sources for ITER’s ion cyclotron heating and current drive (IC H&CD) system. 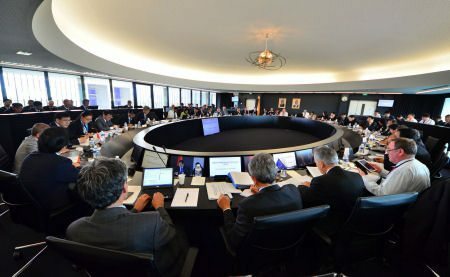 The ITER project is being built in southern France by 35 nations collaborating to develop the world’s largest magnetic fusion device to prove the feasibility of fusion as a large-scale carbon-free source of energy. The IC H&CD system is a critical element in achieving the plasma performances planned for ITER’s operation. ITER intends to demonstrate that plasma and fusion reactions can be controlled and practical energy creation is possible with negligible consequences to the environment. Each transmitter will provide 24 MW of power, configured as two parallel amplifier chains power-combined at their outputs. The entire RF system is designed to deliver 20 MW into the plasma, at frequencies between 40 and 65 MHz. In all, nine RF sources will be required (including a spare). With decades of experience in manufacturing high-power RF sources for plasma heating CEC offers unique qualifications to the ITER program’s stringent specifications. Continental Electronics delivered a special purpose cavity amplifier for the 30-60 MHz frequency range, capable of operating at up to 2 MW power output in long pulse mode. 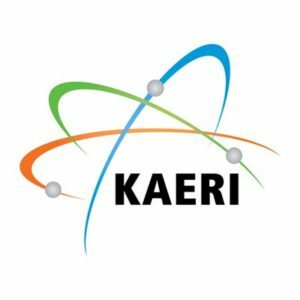 The system will be used for the Korean Superconducting Tokamak Reactor (KSTAR) in Daejon, Korea. It is based on a proven design built by Continental Electronics for a number of customers engaged in fusion research. Continental’s system includes intermediate, driver, and final power amplifiers, all power supplies, water-cooling for all stages, crowbar and switchgear. The transmitter, shown here, has been operated at 2 MW (megawatts) for up to 300 seconds in pulse duration.